Patella femoral syndrome rehab is a complicated task. There are many factors that can cause anterior knee pain. The key to treating this injury is finding out what is causing it, and then fixing those problems. Muscular weakness and mobility issues are the two most treatable causes of patella femoral syndrome. It varies for every person, but I have never seen a patient with anterior knee pain that did not have some type of strength or mobility deficit. Rehab can be effective if it is approached in the right way. Too much emphasis is often placed on strengthening the quadriceps, when these muscles have little effect on the overall problem. I use the analogy of a train sitting on the track with my patients. Think of the patella as the train, and the femur as the track. Basically, a train must go wherever the track goes. It cannot decide to change directions, or go another way because it must stay on the track. The patella is just like a train. It does not get to choose its own route, or change directions. It must go where the femur goes. 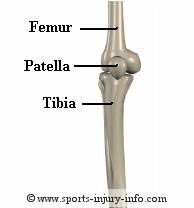 If you want to change where the patella goes, you have to change where the femur goes. What muscles control where the femur goes? The muscles of the hips, especially the lateral or outside muscles. The biggest problem with mal-alignment or poor tracking of the patella is adduction and internal rotation of the femur. When the femur adducts, or moves towards the middle of the body, it forces the patella towards the outside. Combine this with internal rotation, and the patella is now sitting on the outside of the femur, and the stresses are increased. If you can effectively control the femur, you will have less knee pain at the patella. The key is to make sure that any exercises that you perform during your patella femoral rehab adequately strengthen the lateral hip muscles. Lunges are a good exercise for patella femoral syndrome rehab, but only if you focus on your knee position and not on how deep you can lunge. Mini or half lunges performed correctly should not cause pain, and can work to strengthen your hip muscles as well as your quadriceps and hamstrings. Elastic band walks are another great exercise for hip strengthening, and I use them with all of my patients suffering from patella femoral syndrome. Balancing activities that force your hips to work are also excellent exercises for patella femoral syndrome rehab. One of my favorites is the balance with sideways reach. 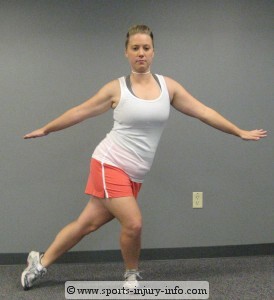 It forces all of your hip muscles to control the leg and to keep you balanced as you reach. Other activities that will help to improve your hip strength involve the lower abdominal muscles. Exercises using a foam roller, or fitness ball to strengthen your lower abs can help reduce your knee pain too. Strengthening of the hips is the most important part of any patella femoral syndrome exercise program. Without it, you will likely see little improvement in your knee pain, and may end up resorting to surgical intervention. For a complete program to treat patella femoral syndrome, you not only need strengthening, but mobility and balance exercises as well. I offer all of these in a comprehensive patella femoral rehabilitation program called Patella Femoral Solutions. 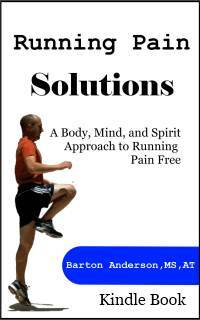 If you are suffering from knee pain, this is the program for you. It will walk you step by step through the BEST exercises to treat your knee pain. Imagine a life without pain when you play sports, walk up the stairs, or stand for too long. It is possible. If you have suffered from patella femoral syndrome, and have been to physical therapy with no results, ask yourself if your exercises focused on these things. If they didn't, then you owe it to yourself to try it again. It could mean avoiding unnecessary surgery...and even better, it could mean a pain free knee in the future.